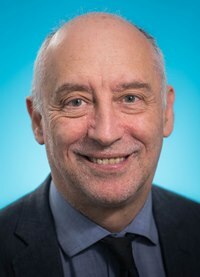 Professor Mark Cooper AO is Head of the recently formed (1 January 2017) Diabetes Department in the Central Clinical School at Monash University. He was formerly Chief Scientific Officer, Baker IDI Heart and Diabetes Institute, and maintains an active clinical practice at The Alfred as a senior endocrinologist. Professor Cooper's research interests are in diabetes and its three major complications: kidney disease, heart disease and blindness. Diabetes is a serious public health issue and the dramatic rise of diabetes in the community is a major concern. The complications of diabetes include kidney disease, eye disease and vascular disease. Diabetes is a major risk factor for cardiovascular disease and the most common cause of kidney failure in the western world. Professor Cooper has received many awards and is an eminent researcher in the field of diabetes and its complications. His work has profoundly improved our understanding of this disease and has been of direct benefit to millions of sufferers around the world. His distinguished body of research has led to new treatments for sufferers of diabetes that are today considered standard. He has played a key role in translating exciting discoveries in the laboratory to clinical care with seminal studies defining various treatment strategies to reduce the burden of diabetic complications. Professor Cooper has published nearly 600 papers (see PubMed search Cooper ME). Professor Cooper is either a main or associate supervisor for a number of PhD students. 30 students have completed PhDs under his supervision. Many national and international awards, including most recently Outstanding Foreign Investigator Award, Japan Society of Diabetic Complications (2013), Claude Bernard Award (recognition of an individual's innovative leadership and lifetime achievements in diabetes research), European Association for the Study of Diabetes (2016), Order of Australia (Officer) for distinguished service to biomedical research in the field of diabetes and related renal and cardiovascular diseases, to medical education, and as a mentor of young scientists (2017) and the Edwin Bierman Award (leading scientist in the field of macrovascular complications and contributing factors in diabetes), American Diabetes Association (2017). Current Chair, JDRF International Medical Science Research Committee, Complications Group, New York, USA. Member, International Scientific Committee, Juvenile Diabetes Foundation International, New York, USA. Senior Investigator, CALM study. Multi-centre (Denmark, Australia, Israel, Finland). Studies of Angiotensin II antagonism in hypertensive, microalbuminuric non-insulin dependent diabetic subjects.